With lavish curves and scattered with diamonds, Noemia is evocative of the female aesthetic. 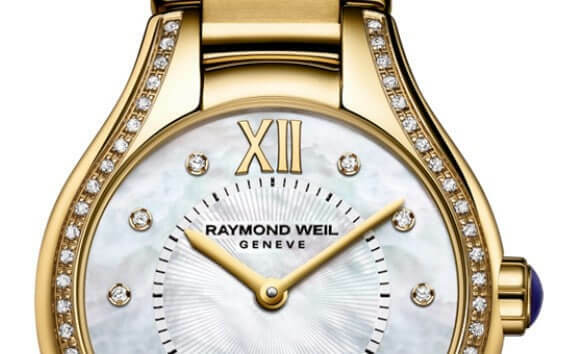 Crafted in Geneva with love, this collection, named after the founder’s beloved granddaughter, is a deserved favourite at Raymond Weil. 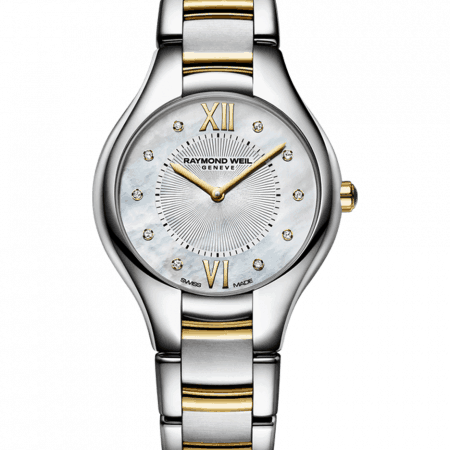 Noemia was launched in 2009 and, say Raymond Weil, “has been charming women the world over” since. We’d like to think our female customers look for more than just charm. 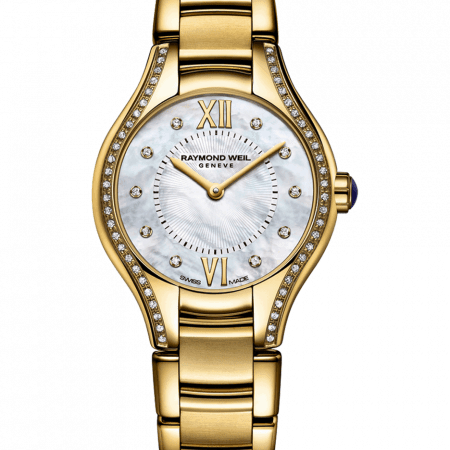 Granted, Noemia has been designed to seize female attention – featuring mother of pearl and between ten and 62 diamonds, this watch is famously glamorous. 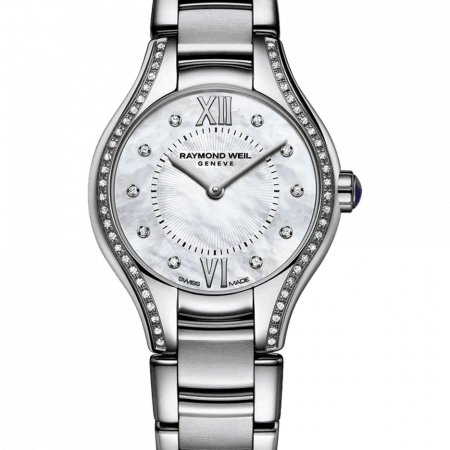 But beneath the face is an intelligent piece of engineering built with Raymond Weil’s persistently good mechanics. Men’s watches seem to be analysed with more gravitas than ladies’ watches. But, if you wish to look beyond the frivolous good looks of your wristwatch, then you would be wise to investigate Raymond Weil watches. Take, for example, the movement; a Swiss quartz made by Swiss firm ETA, with a reputation for excellence. 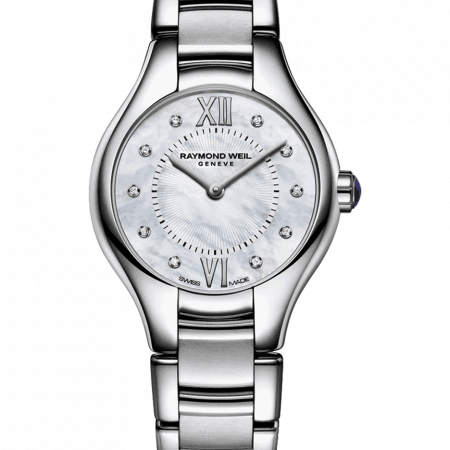 Finished in sapphire crystal with RW’s signature double-push clasp, the Noemia watch looks polished and – a fact which is underplayed – is actually a seriously trustworthy watch.